Set of 4 tunnels. 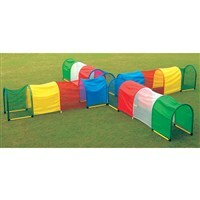 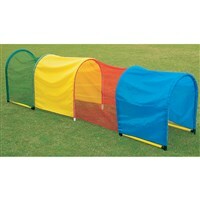 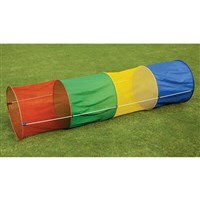 Each tunnel made of 4 coloured panels in round shape, 2 panels of mesh fabric and 2 panels of plain fabric. 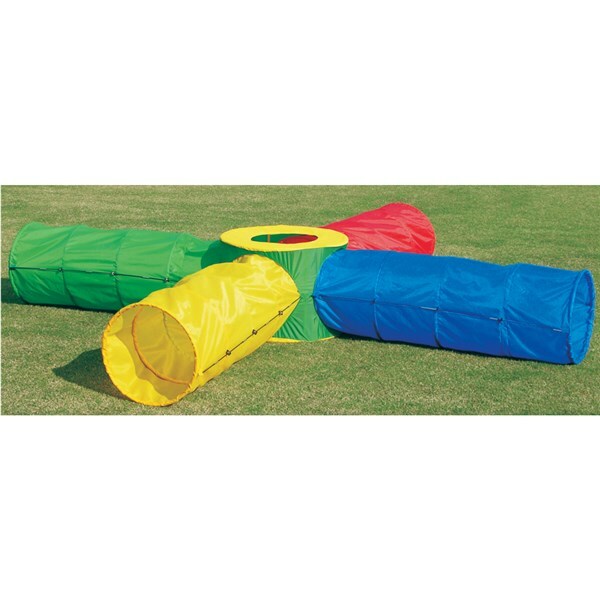 All tunnels come with velcro at one end to connect together and make a "PLUS"